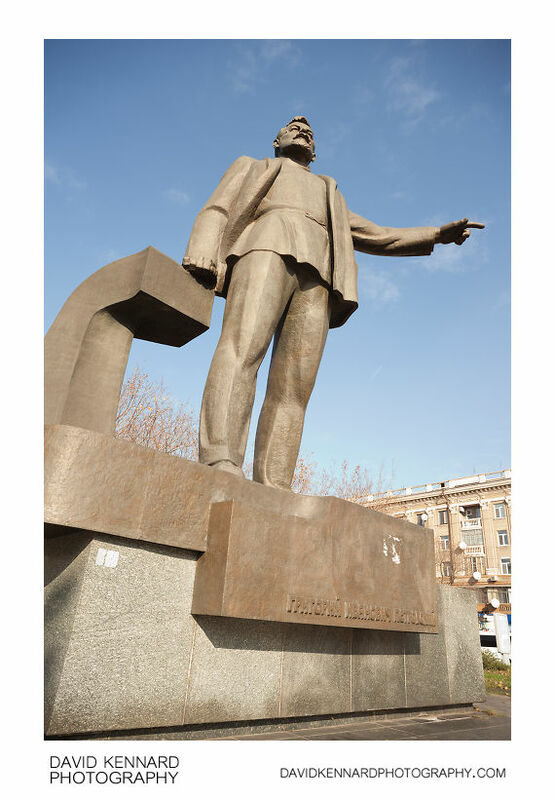 He was born in Kharkiv, Ukraine, and later moved to Dnipropetrovsk. At the time, the city's name was Yekaterinoslav, and it was later (in 1926) renamed to Dnipropetrovsk in honour of Petrovsky. The monument in this photo was unveiled in May 1976. It was designed by architect V.G. Sotnikov, with the sculpture produced by sculptor K.I. Chekanev.